Each piece of jewellery is very delicate so we must have to take care of them. So treat your jewellery with loving care and respect. It will stay young looking like most women. Remember to put your jewellery on after applying make-up and the hairspray and avoid contact with perfume. Before entering a chlorinated pool remove all ornaments. Remove your jewellery when carrying out cleaning or other chores. 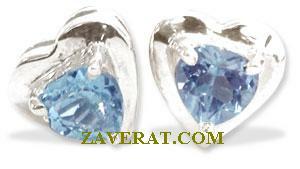 Remove all jewellery if you�re contemplating a sauna as it will burn you when it heats up. Cleaning fluids can damage both the metal and the gemstones. Many gemstones are damaged by prolonged exposure to heat. A miss-hit with the hammer could end a beautiful relationship with not just your engagement ring. Gemstones are a valuable part of any piece of antique jewellery. Common sense is the best preventative measure when caring for any antique gemstone. Although the metal components of ornaments often receive the most attention, gemstone care is equally as important. Hairdryers should never be used to dry freshly-cleaned gemstones, and no pieces should ever come in contact with chlorine. It is crucial to protect antique jewellery as a whole, in order to maintain as much value as possible over time.